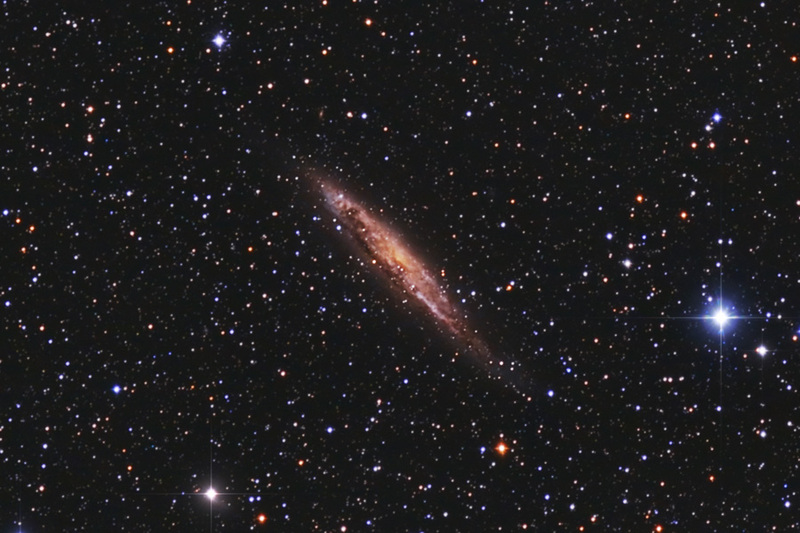 Spiral galaxy in Centaurus. 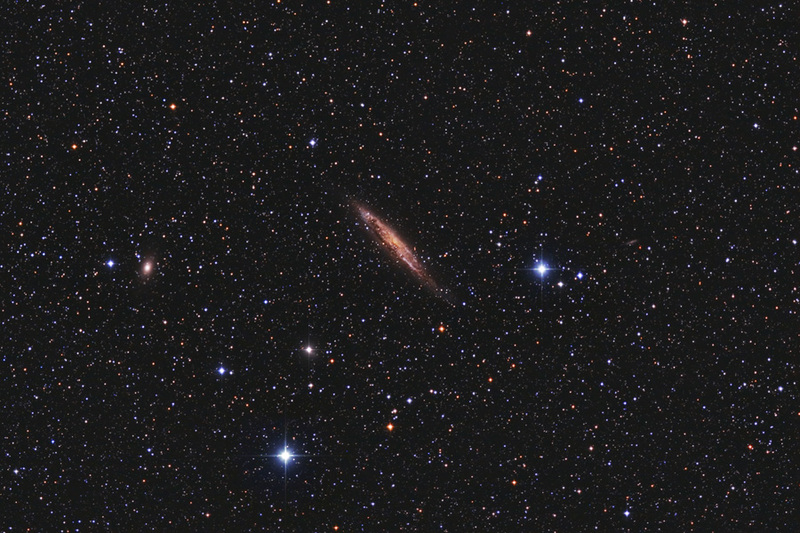 The galaxy at centre-left is the elliptical NGC 4976. Below, a more tightly cropped version. 11-inch Schmidt-Cassegrain telescope at 560mm focal length; astro-modified DSLR camera.